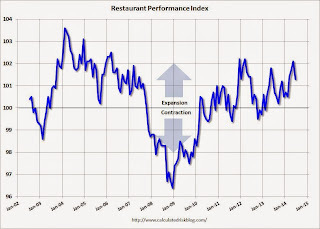 Due in large part to softer customer traffic levels, the National Restaurant Association’s Restaurant Performance Index (RPI) registered a moderate decline in June. 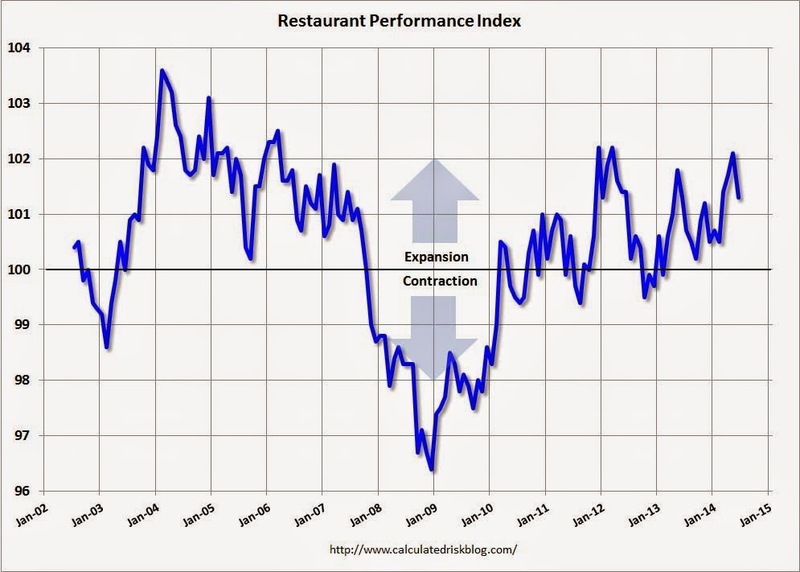 The RPI – a monthly composite index that tracks the health of and outlook for the U.S. restaurant industry – stood at 101.3 in June, down from a level of 102.1 in May and the first decline in four months. Despite the drop, the RPI remained above 100 for the 16th consecutive month, which signifies expansion in the index of key industry indicators. The index decreased to 101.3 in June, down from 102.1 in May. (above 100 indicates expansion). Restaurant spending is discretionary, so even though this is "D-list" data, I like to check it every month - and even with the monthly decline this is a solid reading.